We are a certified Cypress Design Partner for WirelessUSB, USB, and PSoC. We have extensive experience with Cypress PSoC 4 & 6, Arduino, Raspberry PI, Intel Galileo/Edison,& Beagle Bone. We can develop applications and hardware for your unique application. 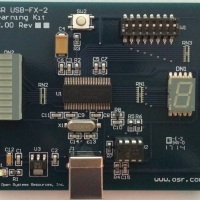 Cypress USB and PSoC development. We have extensive experience with FX2, FX3, PSoC 1 through 6 and are a Cypress Gold Design partner. Linux Device driver and QT application development. We have extensive experience with the Cypress WirelessUSB (WUSB) and low power RF solutions. Do you want to cut the wire (USb cable) to your USB device and make it wireless? We can help you!! You need a wireless USB controller. We provide USB hardware design, firmware development, host software development, debugging, and training services. We can help your team develop a USB device which is compatible with HID or any USB device class. We can provide complete solutions covering battery powered hardware, hardware development, firmware, and host software development, as well as RF certification and testing. Are you having problems with your USB device? We have helped many companies, who have been struggling with reliability and usability of their USB devices in the field, quickly resolve problems that they have already spent months working on. Need a USB analyzer? We can diagnose your problem using our analyzers and tell you what needs to be fixed.